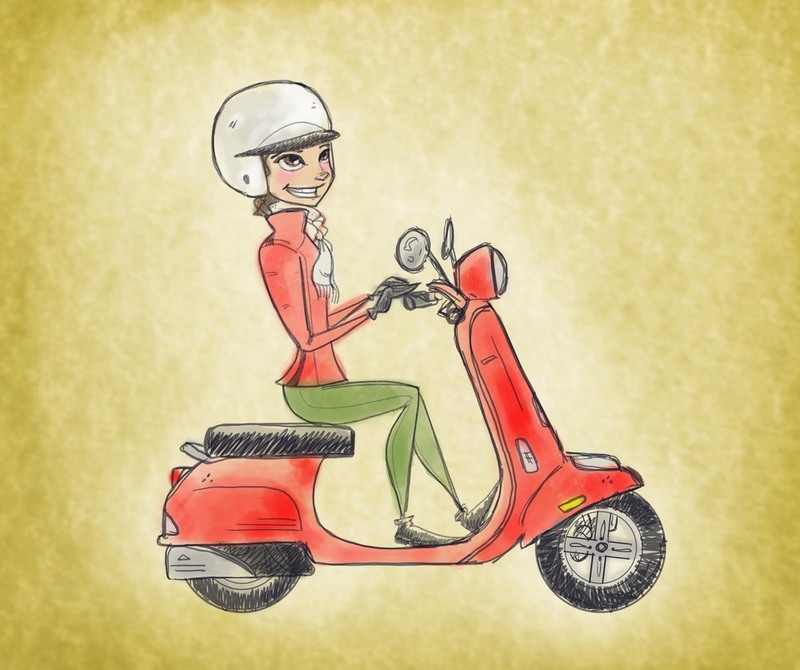 Friend at work asked me to do a quick sketch of his pal and her vespa. I took it beyond just a sketch so I could experiment a little. Tried some faux watercolor stuff on it. I think I like it.